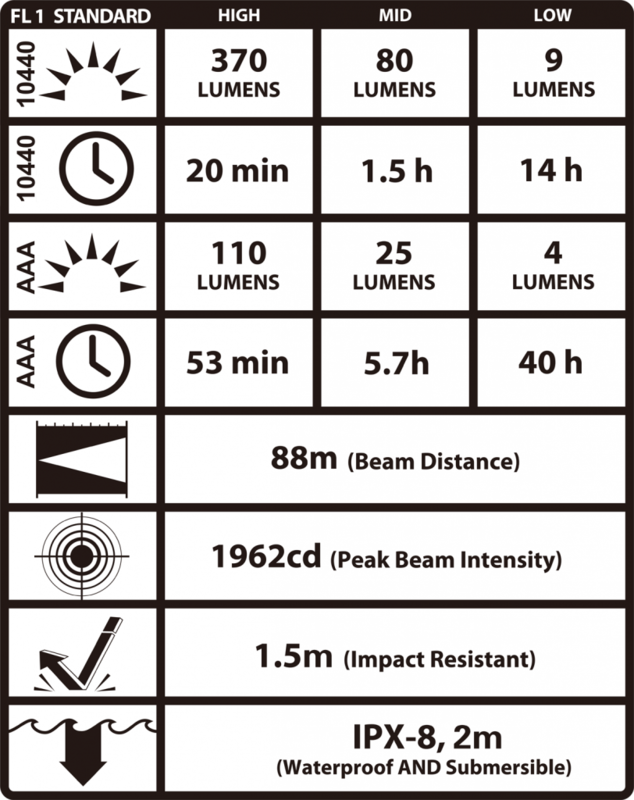 You may know how strong the K18 is. 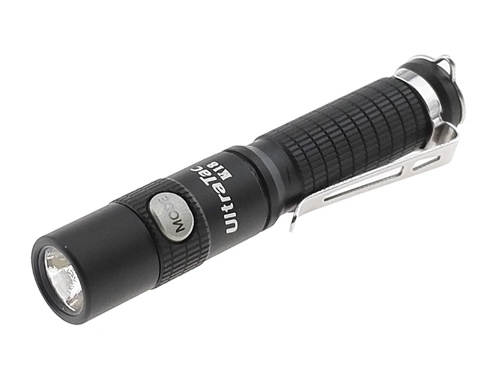 But most ladies do not like black color. According to the survey, red is the lady’s favorite color. 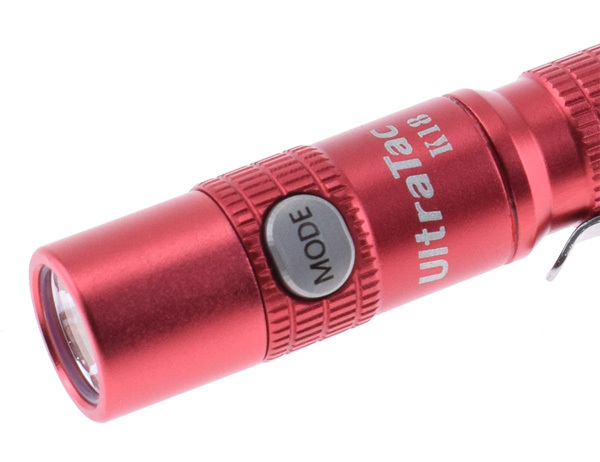 That’s why we make UltraTac K18 Red, it uses a Cree XP-G2 S4 LED and supports 3 levels: Low- Mid- High, and hidden Strobe (Double click activate it). BIG SURPRISE again, most keychain lights do not have a strobe mode, but the function is very useful when you are walking alone at night. 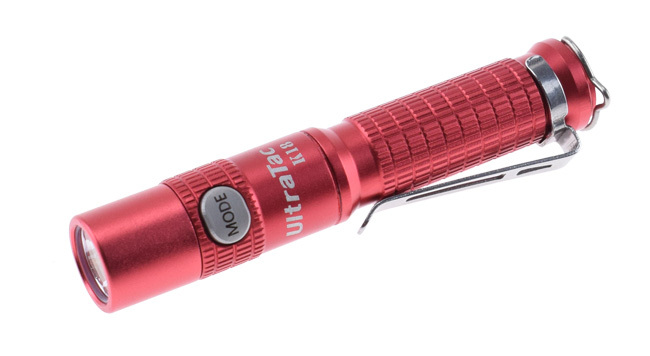 Take a UltraTac K18 Red as an everyday carry flashlight in your handbag is a excellent choice! 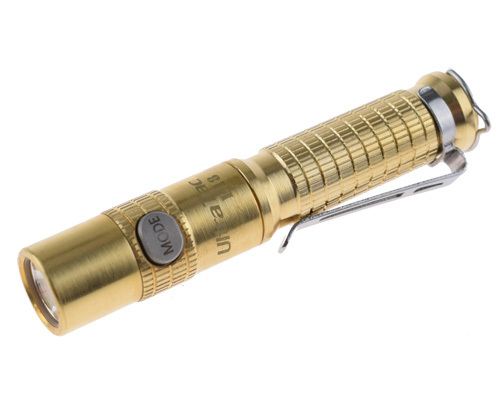 Exclusive stainless steel side button switch provides convenient one-handed operation. The switch will never wear off in any harsh environment. The switch lock-out mode specially designed to prevent accidental activation of the flashlight. 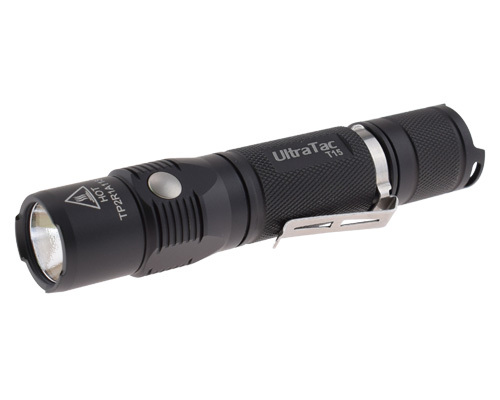 Double click the switch in 0.5s when light off, the light flash once means switch is lock-out. 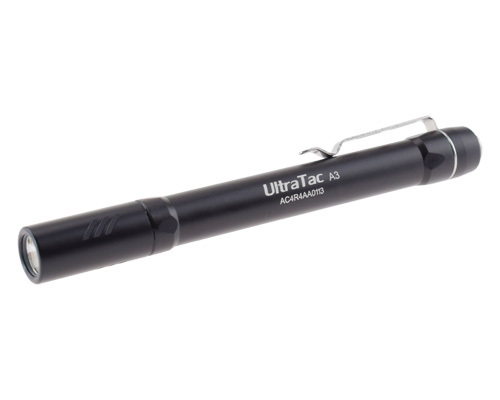 This feature will prevent misuse when you put the light in your handbag. 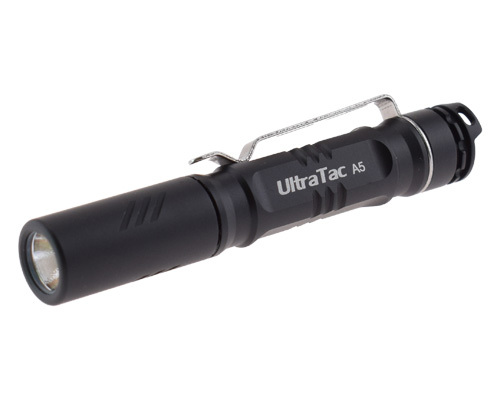 As an excllent everyday carry flashlight, UltraTac K18 is compatible with both AAA Alkaline battery, AAA Ni-MH rechargeable battery, and 10440 Li-ion rechargeable battery. 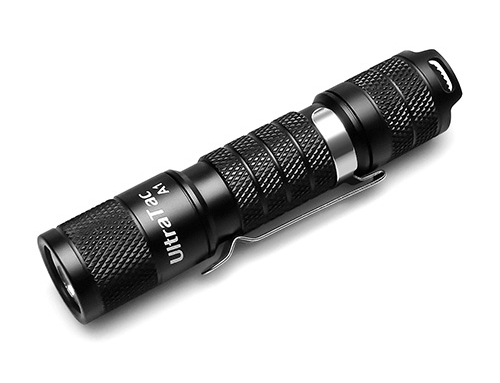 UltraTac K18 support reverse polarity protection to protect from improper battery installation. 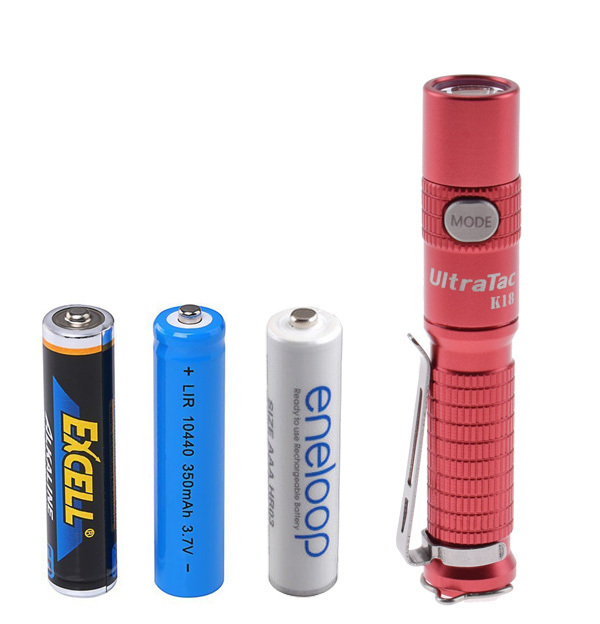 the K18 v2017 light will drop down to low mode automatically and flash 3 times every 5 seconds when the battery is lower than 2.9V. IPX-8 waterproof. It remain working if you’re trudging in the rain or tripping into pools of water.